This Italian Sausage & Potato tin foil dinner has minimal ingredients and a flavor that is sure to please the entire family! Pair it with your favorite veggies and seasonings. Of all of the tin foil dinners I have made … This Italian sausage and potato is by far my favorite. I really think it has to do with the seasoning I used. When we were creating this recipe I really did not have a specific direction. All I knew was that I wanted to use Italian sausage links and something green. I dug around in my pantry and discovered red potatoes, green beans, and fennel salt. I have had the salt for a few months but really was not sure how or what to use it on. Turns out it adds a bold punch of flavor to both sausage AND potatoes. Exactly what this tin foil dinner needed! Use heavy duty foil. The last thing you want when making a tin foil dinner is to have the foil rip and your dinner ending up on the floor. Spray with non stick spray. This will help ensure that your potatoes and other starch filled ingredients do not stick to the bottom. Line the ingredients that take the longest to cook on the bottom. Season well! The great thing about tin foil dinners is that you can add flavor in so many ways. Canned soups are popular, but we like to stick with seasonings. Salt and pepper, Italian seasoning, and fennel salts are all examples of ways you can kick up the flavor. Can a tin foil dinner be cooked in the oven? Yes. We do not limit tin foil dinners to camping. We have made them in the oven, on the grill, and in hot coals. Do not limit yourself to just one way of cooking! If you are looking for more great inspiration on what kind of meals to add to your camping menu make sure to check out my cookbook! Foiled! 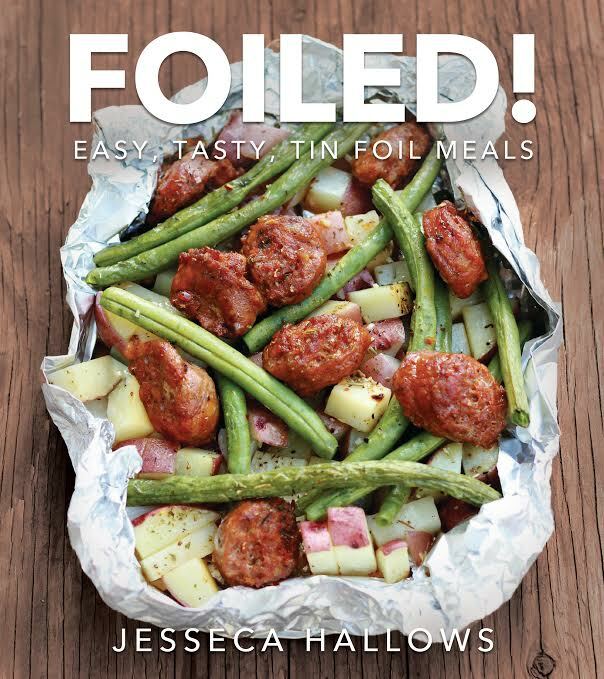 Easy, Tasty, Tin Foil Meals is packed with great ideas from breakfast to desserts! ALL MADE IN FOIL! Make sure to give me a shout out on social media if you give any of them a try! 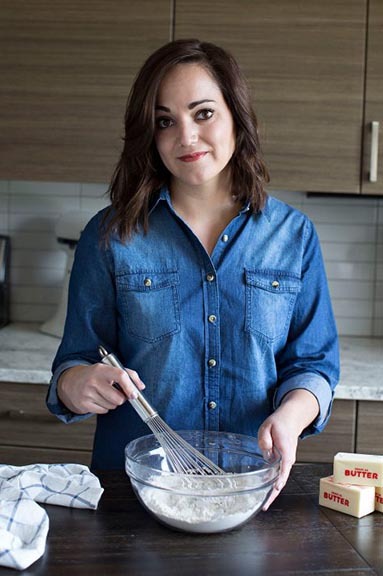 I would love to feature you and your cooking adventures! Start by dicing your potatoes into bite sized chunks. Create four rectangles of heavy duty foil. Fold up the sides creating a 1 inch rim. Spray your containers with cooking spray and divide the potatoes between them evenly. Top with your remaining ingredients. I like to slice the sausage beforehand, but you can leave it whole as well. Lightly drizzle your meal with olive oil and sprinkle with seasonings. Fold up the sides to create your packet. OUTDOOR COOKING: Place your packets onto prepared coals. Cook for 30 minutes making sure to turn a few times. Awesome! My boyfriend loved this! We used fennel seed and salt and it was great! Will be investing in fennel salt for sure! Thanks! I typically make this recipe using onions and bell peppers as the accompanying vegetables. Recipe was originally from my best friends’ mom. You can make this with hot dogs too. My choices of more vegetables would be to add ONIONS and/or PEPPERS. Add quartered cabbage and onion. Oh, that sounds delicious! Great idea. I love foil packs. I made this the other night. It came out perfect and evenly cooked. I only flipped once on the grill after 15 minutes. Thank you!